Fine Arts Chamber Players presents the free 34th Annual Basically Beethoven Festival Sunday afternoons starting July 6. Held at the Dallas City Performance Hall in the Dallas Arts District at 2520 Flora Street, Dallas, TX 75201, doors open at 2:00pm for the 2:30pm Rising Star Recital featuring outstanding harpist Juanito Riveros. Awarded by the Texas Commission on the Arts and Texas Cultural Trust, Riveros is a recipient of the Young Masters Program, a grant given to a group of 20 gifted student artists across the state. His program includes: Sonata No.3 in C minor, Op.2 by Sophia Dussek, La Source, Op.44 by Alphonse Hasselmans, and Gabriel Pierné’s Impromptu-caprice, Op.9. 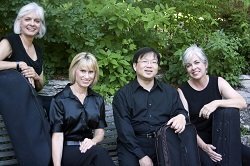 At 3:00pm, the Wyeth String Quartet performs Mozart’s Quartet No.4 in C major, K.157; Echoes by acclaimed film composer and conductor Bernard Herrmann; and Beethoven’s Quartet Op. 18, No. 4. All concerts are FREE TO THE PUBLIC. Paid parking is available in surface lots and garages in the Dallas Arts District. Families with children are welcome. For more information call (214) 520-2219, email music@fineartschamberplayers.org or visit our website at www.fineartschamberplayers.org. Basically Beethoven Festival recitals and concerts continue on July 13, 20, and 27. 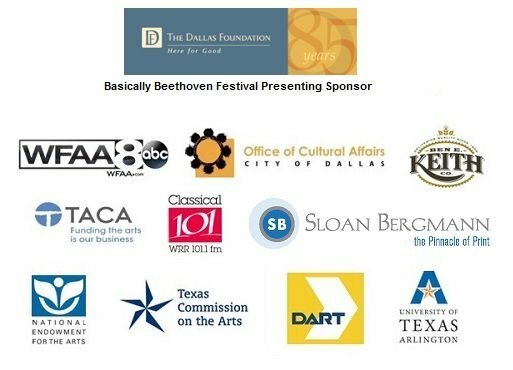 The Basically Beethoven Festival is made possible in part by the The Dallas Foundation – Presenting Sponsor, City of Dallas Office of Cultural Affairs, TACA, the Texas Commission on the Arts, the National Endowment for the Arts, WFAA Channel 8, WRR-FM Classical 101, DART, and Sloan Bergmann Print Services. For over 34 years, FACP has presented free classical music programs for the enrichment of North Texas area residents. In addition to the free Basically Beethoven Festival, FACP presents the free, monthly Bancroft Family Concerts October through May at the Dallas Museum of Art. Each year, FACP’s educational outreach programs, Dream Collectors and Community Classics, provide over 500 free educational classes and performances in area public schools. Since its inception in 1981, FACP has served over 215,000 children and performed for over 540,000 residents of North Texas. Fine Arts Chamber Players presents the 34th Annual Basically Beethoven Festival Sunday afternoons on July 6, 13, 20, 27. These free concerts of classical chamber music are held at the Dallas City Performance Hall in the Dallas Arts District at 2520 Flora Street, Dallas, TX 75201. Doors open at 2:00pm for the 2:30pm pre-concert Rising Star Recital showcasing young music artists and competition winners. At 3:00pm, the chamber music performances begin featuring musicians from the Dallas & Fort Worth Symphony Orchestras, The Dallas Opera Orchestra, area university faculties and guests. All concerts are FREE TO THE PUBLIC. No reservations or tickets required. Paid parking is available in surface lots and garages in the Dallas Arts District. Families with children are welcome. For more information call (214) 520-2219, email music@fineartschamberplayers.org. Pianist Eduardo Rojas performs the music of Beethoven, Rachmaninoff and Gershwin. Tango dancers George and Jairelbhi Furlong join in the music of Piazzolla and Villoldo. Fort Worth Symphony Principal Horn Mark Houghton, soprano Camille King and pianist Carol Leone perform the rarely heard Schubert Auf dem Strom. Dr. Leone presents Beethoven piano favorites, Moonlight Sonata—1st movement, Für Elise and more. 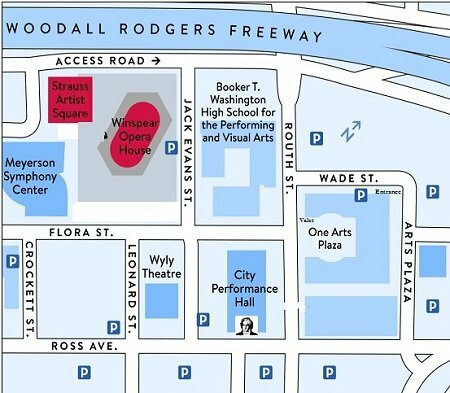 There is plentiful paid parking in surface lots and garages in the vicinity of the Dallas City Performance Hall from $5-$15. Payment for surface lots parking is made at kiosks on each lot. Please allow extra time when paying at a kiosk. Covered parking is available in the One Arts Plaza Garage. Entrance to this garage is located on the east end of Wade St. near Arts Plaza St. Valet parking is available at One Arts Plaza on Routh St. at the circular drive in front of One Arts Plaza. Entrance to the Lexus Silver Parking Garage is located on Jack Evans St. between Flora St. and Ross Ave. There is no access to the CPH lobby from the garage elevator. Take the elevator up to street level and enter the Hall through the front doors on Flora St.
For patrons with limited mobility, please contact us at 214-520-2219. ExxonMobil sponsors the Community Summer Jobs Program, which provides college undergraduates paid summer internships with North Texas nonprofits. 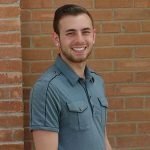 The program provides much-needed assistance to nonprofit agencies while giving students valuable work experience and an opportunity to make a significant impact in the community. For over 34 years, FACP has presented free classical music programs for the enrichment of North Texas area residents. In addition to the free Basically Beethoven Festival Sunday afternoons in July, FACP presents the free, monthly Bancroft Family Concerts October through May at the Dallas Museum of Art. Each year, FACP’s educational outreach programs, Dream Collectors, Music A – Z and Music Residencies, provide over 500 free educational classes and performances in area public schools. Since its inception in 1981, FACP has served over 210,000 children and performed for over 530,000 residents of North Texas. 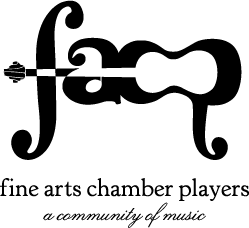 Fish City Grill has named Fine Arts Chamber Players its charity of the month! 15% of the entire day’s sales will be donated to FACP. Enjoy a drink, a meal and fun with great people next Tuesday! Fish City is located in the Preston Oaks Shopping Center (SE corner of Preston and Royal). Tuesday hours are 11am – 10pm.